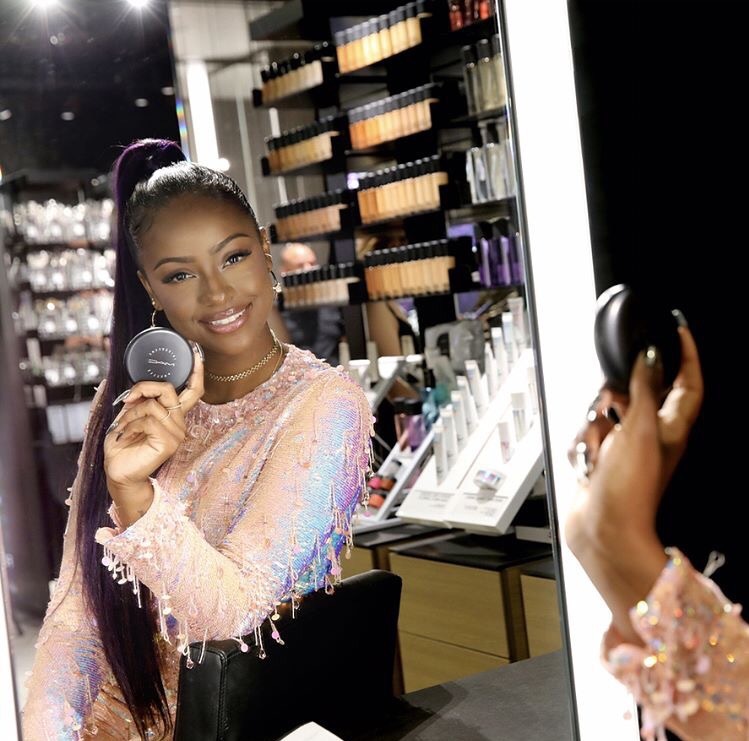 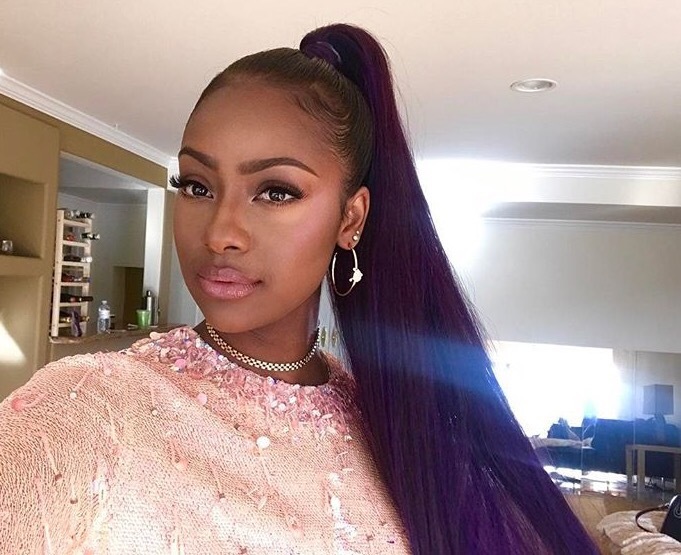 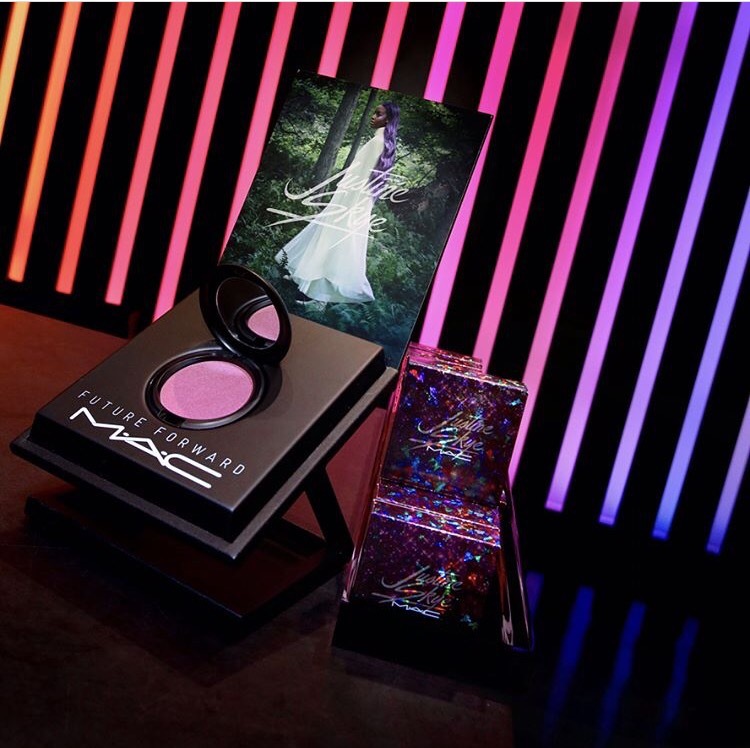 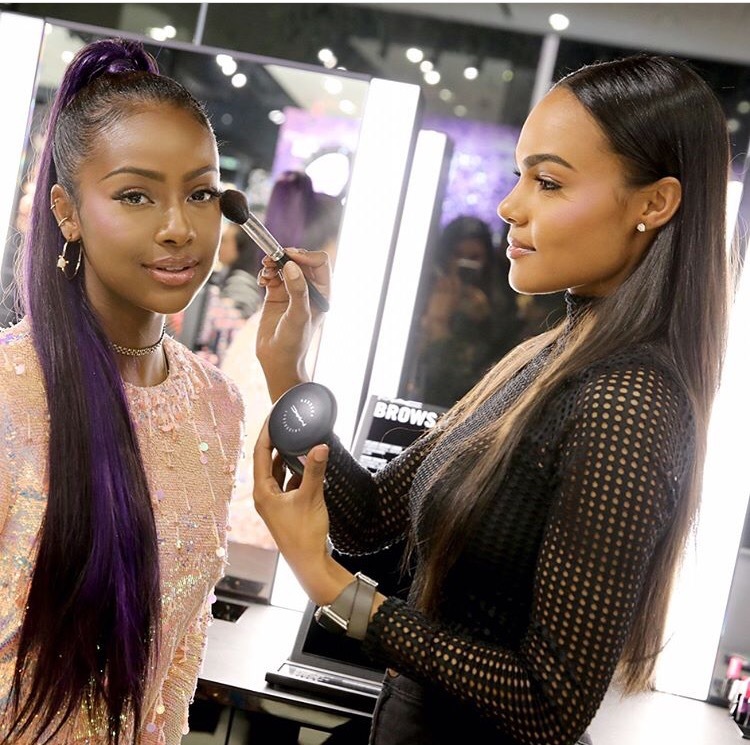 Justine Skye had a meet and greet in LA last night, for the launch of her Mac cosmetics Future Forward campaign. 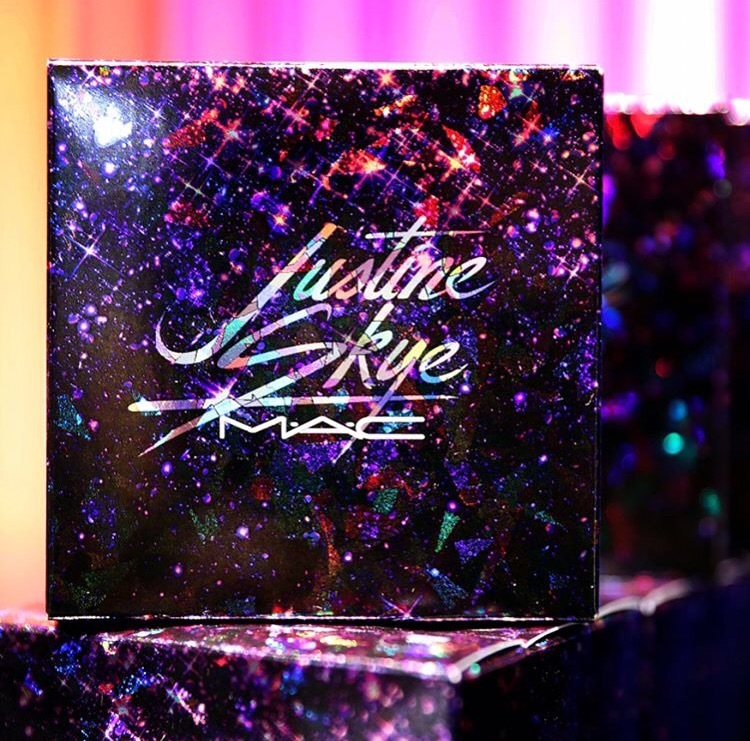 Justine has a highlighter that is available for preorder, online at MAC. 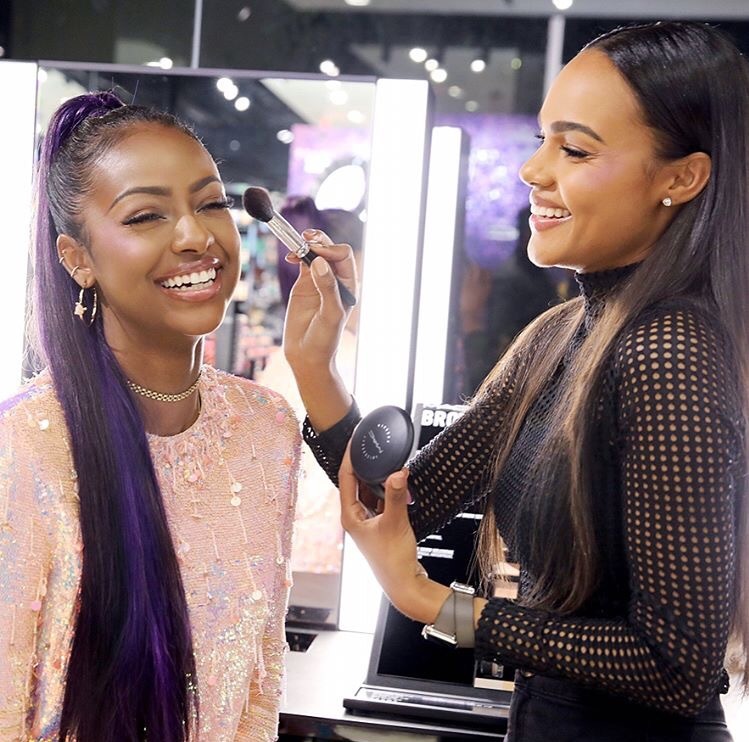 Makeup artist @rebekahaladdin, puts on the final touches. 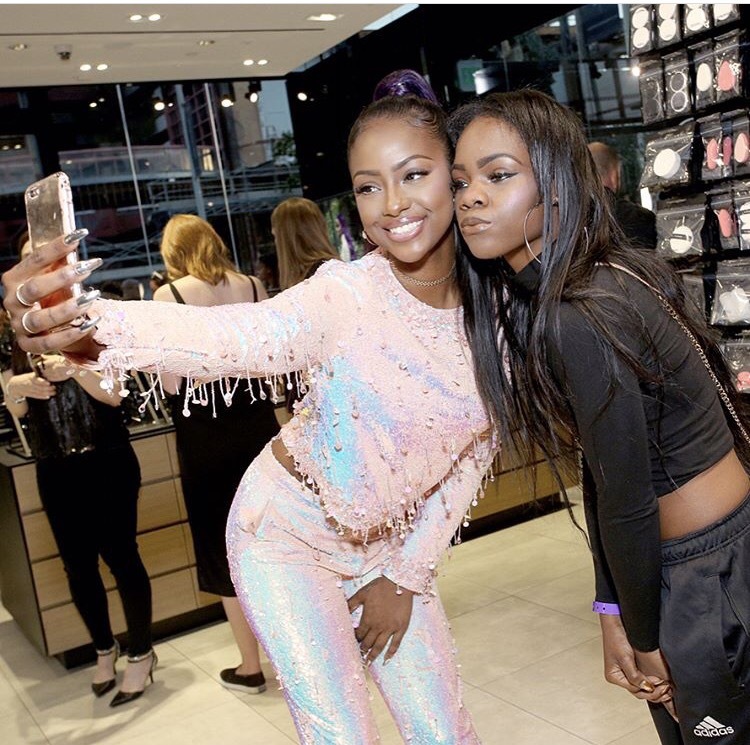 Justine takes pictures with the first one hundred and fifty customers, who bought her powder.